Scientists say they have designed a jelly-like pill that inflates to the size of a ping-pong ball when it reaches the stomach, and could be used to monitor tumours or ulcers. The soft, squishy device was inspired by the puffer fish, which inflates quickly like a balloon when threatened. 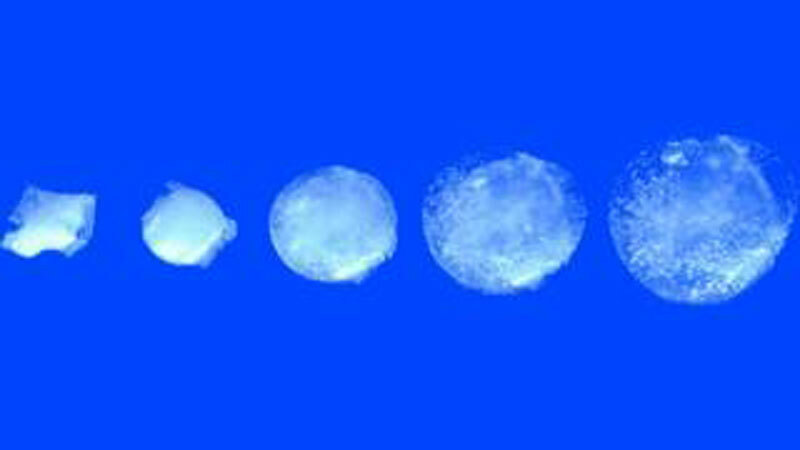 The Massachusetts Institute of Technology team behind the pill says it can last for a month. The pill has been tested in pigs but not yet in humans. The pill is made from two types of hydrogels - an inner layer of absorbent particles and an outer protective membrane. This gives it the consistency of jelly, helping it to expand quickly in the stomach and therefore stopping it from passing out the other end.